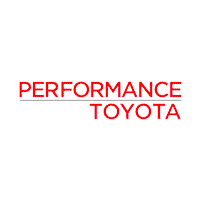 Ask about our Vehicle Exchange Program at Performance Toyota Today! After many years and miles accrued on the open road, it may be time to call it quits on a vehicle that has given you many good memories up to this point. But it doesn’t all have to be sad, because we have an exchange program here at Performance Toyota that we are sure you will want to take advantage of. Your pre-owned vehicle that you operate has tremendous value to our team here in Sinking Spring, PA, as we are always searching for used vehicles to add to our ever expansive inventory. Our vehicle exchange program allows you to trade this vehicle in and upgrade to a pre-owned, certified pre-owned or new Toyota model that excites you for future commutes. Nearing the end of your lease and wishing that you could participate in this program? Possibly get out of your lease early with the help of our financing team to review the details and get you eligible for our vehicle exchange offerings! Our financing team will also help you manage your car payment to remain similar to what you are currently paying during your upgrade with this vehicle exchange process. We believe that you should always be able to take a fresh set of wheels out onto the pavement for some driving fun, and this vehicle exchange doesn’t impact your budget of what you currently pay. Ready to get started? Contact Cam Kline, our Vehicle Exchange Specialist at 610-678-3425 ext. 116 about exchanging your pre-owned vehicle here in Sinking Spring and we can set the upgrade process in motion!